In week one, we start with the most important question: did Jesus really exist ? If he didn’t, or we couldn’t prove, it then there really isn’t any reason to study the Bible. But if we can prove he is real, along with belief in his deity and the basic outline of his life, were all believed at the start of Christianity – not later beliefs added hundreds of years after his death, as some doubters claim – then our study of the Bible carries additional weight and importance. In week one of this study I’ll show that Jesus and basic facts and beliefs about his life (like his virgin birth, miracles, death and resurrection) are verifiably, historically provable without using the Bible… and using no Christian sources! Has God Spoken w1 audio. Has God Spoken w1 worksheet. Can I Really Know if I’m a Christian? Here is week 7 of the Am I Really a Christian? 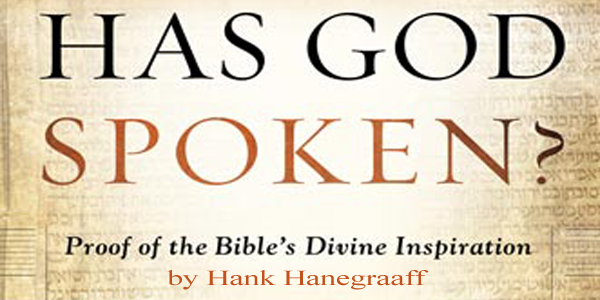 series I’m teaching at Springhouse Worship & Arts Center. It is based on the study of the same name by Mike McKinley, which I highly recommend. Download the worksheet then the audio and follow along! You comments are welcome here or at Facebook. This was the last face to face class for the series but there is another, in the words of Master Yoda: Week 8: Now That I’m a Christian, What’s Next? It should be published in the next couple weeks. Week Seven: Can I Really Know if I’m a Christian? Here is week 6 of the Am I Really a Christian? series I’m teaching at Springhouse Worship & Arts Center. It is based on the study of the same name by Mike McKinley, which I highly recommend. Week Six: You Are Not a Christian if You Love Your Stuff. Here is week 5 of the Am I Really a Christian? series I’m teaching at Springhouse Worship & Arts Center. It is based on the study of the same name by Mike McKinley, which I highly recommend. Week Five: You Are Not a Christian if You Don’t Love People. Here is week 4 of the Am I Really a Christian? series I’m teaching at Springhouse Worship & Arts Center. It is based on the study of the same name by Mike McKinley, which I highly recommend. Week Four: You are not a Christian if You Don’t Persevere Till the End. Here is week 3 of the Am I Really a Christian? series I’m teaching at Springhouse Worship & Arts Center. It is based on the study of the same name by Mike McKinley, which I highly recommend. I use quite a bit of info from the Barna Group and XXXChurch. Click through for easy access to these resources. Here is week 2 of the Am I Really a Christian? series I’m teaching at Springhouse Worship & Arts Center. It is based on the study of the same name by Mike McKinley, which I highly recommend. Week Two: You are not a Christian Just Because You Like Jesus. 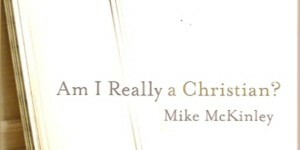 Starting this week I’ll be teaching a class at Springhouse Worship & Arts Center called “Am I Really a Christian?” It’s based in large part on a personal study of the same name by Mike McKinley and also on the fictional book Night of the Living Dead Christan by Matt Mikalatos. The study is challenging and important because it’s obvious that many people who think they are Christians really aren’t. That’s the most important issue for each of us for all eternity and we need to be straight on what it really means to be a Christian and how that definition isn’t up to us. After each week’s lesson, I’ll post the audio (MP3) and the worksheets (pdf) here at ashertopia.com. I encourage anyone who thinks that they are a Christian to work through this study with prayer and honest introspection. Week One: You are not a Christian because you say so. I Know God is in control. But I Don’t Trust God. God is real. There really is a massively big, super powerful being that created everything, knows everything and is in control of everything. I believe this. And it scares me. I’m not afraid of God because I believe He loves me. Well, I work to believe that. I want to believe that. I don’t struggle with this because I think I’m unloveable. Actually, I most likely suffer from the opposing viewpoint too often. I think I’m great. Fat and egotistical, but great. Several years ago I was getting coffee with my friend Christopher at a Starbucks. We worked together so could take breaks together occasionally. Christopher, who is a Christian, was in a funk at the time and wasn’t going to church. As I was talking to him about this, sitting in the super comfortable chairs in the center of the cafe, a lady who had been there when we got in and was sitting nearby doing homework sat up and asked us if we were Christians. I said yes. Christopher said sorta. She said that at practice one of the girls had fallen and broke their ankle so she left early and decided to get a head start on some college course work. Then she said she forgot her wallet at home and so had to drive back to get it and then it was late and she needed a coffee so she got off the first exit looking for a Starbucks. There she sat when we walked in and started discussing Christopher and his churchlessness. That is a powerful story about God works all things out for His glory and our good. It is a store about God being in control. God was in control years earlier when this lady was learning to be a cheerleader herself after seeing, hearing or reading about her cousin, sister or mom do it. He was in control when when that person learned to live cheer. He was in control decades before when cheerleading was introduced to high schools. And way before that when humans learned to dance. You get the idea. God was also in control when that girl fell and broke her ankle. I’m afraid of God’s control because I’m afraid of being that girl in someone else’s story. It’s trust that I lack. Trust that He has my good in mind as well and is control of ordering my steps in such a way that if I were the cheerleader the rest of the story works out better than it ever would have. Trust. The reason I don’t trust is because I want to be in control. The reason I want to be in control is because I’m selfish. Listening to David Crowder Band’s Never Let Go can be an emotional experience. At my church, Springhouse Worship and Arts Center, I’ve seen an accompanying performance dance to the song that enhances the emotive power of the song that declares that God really won’t ever let us go. What I realized recently was that I’ve always thought of that phrase, and that truth, as a promise for the future and that it is really, when you get right down to it, only half the story. My story starts like a lot of Gen-Xer stories: an underage mom gets knocked up, a hasty marriage ends when reality sets in, rinse and repeat. When all was said and done I ended up having several sets of parents and six brothers and sisters. Like so many of my lost generation, I lived through abuse, custody battles and most significantly a lack of security so profound that it would reduce my childhood years to dust and rubble. The one thing I knew when I cried myself to sleep too frequently was that I was hurting and it seemed that there was nothing that could be done about it. So I retreated. I went inside and the world outside me passed like a TV show I couldn’t turn off but I did my best to tune out. Long before Adam Sandler’s movie, I remember dreaming that if I could have one super power it would be to fast forward my life. In so many ways I realize now that I did have that power… and I used it. I don’t remember much detail of my life starting from the horrific custody fights of my preschool years until sixth grade. The reason I remember sixth grade is because that’s when I started waking up. Several things changed during that school year and right after. First, my Mom who had been living for much of the previous years hundreds of miles away was now nearby and visited often. No more airplane trips to see her and my brother and sister from her second marriage. She was now married to a Christian man she had met at a Bible study (another reason to study!) and for the first time in a long time she seemed happy and shared that happiness with me. Second, it was towards the end of that school year that my father, who I lived with, took me to a book store and offered to buy me any book I wanted. I don’t recall this being an abnormal occurance – not that I recall much – but I never took advantage of his offer on prior trips. That day I bought a book with a sword wielding female warrior on the front. It was Darkness and Light, a Dragonlance fantasy novel. It changed my life that summer when after devouring that novel I would go on to read at least a dozen more books before the start of seventh grade. Then my father generously and lovingly allowed me to move in with my mom that summer when I asked for permission. I have no idea why he let me since legally he didn’t have to, but it was one of the landmark moments of my life. Not because my dad sucked or anything – he did the best he could being in the tough situation he found himself in – but because my mom made me go to church through high school. In so many ways I’ve lived under the specter of my lost youth my whole life. It’s almost as if by fast forwarding it I’d somehow become doomed to relive it indefinitely – the past hurt simmering just under the surface negatively impacting relationships and decisions. For a long time I blamed my mom. (Curiously, I never blamed my dad, who I think may also have had a fast forward power of a sort; he seems to me to have been a bystander in so many of my rare memories.) My mom, though, here was some I could blame. She made bad choice after bad choice. What I failed to see while blinded by my need for an outlet for my pain was that she was a 16 year old pregnant kid, scared to death, disowned by her family and looking for love in all the wrong places. 16 is four years older than my eldest daughter. Empathy is the seed of love. For so long I lacked empathy for my mom. When I thought of my lost childhood I thought of my lost childhood. Never her lost decades, supposedly her best years. Never my father’s lost years. Certainly not my full-blood brother who seemed to have everything going for him. All I could think about was my hurt and my loneliness. I don’t think I ever thought about it like this, but I realize now that I never considered that God was there either. Maybe it’s easier to remove God from the equation instead of trying to account for why he didn’t intervene. After David Crowder came Michael Gungor’s Beautiful Things where he sings to God, “You make beautiful things, you make beautiful things out of the dust.” The dust. And I realized He had. As I worshiped, I was overwhelmed with the revelation that God was there all the time; He never let go of me. For the first time I realized that “never” applied to the past as well as the future. God never let me go and he made a beautiful thing out of the dust of my life (to reference Gungor, another amazing band). He’s taken a child who missed full years of school (sitting in a desk in the hallway or in a principal’s office) and blessed him with enough intellectual gifts to help him overcome his lack of knowledge and a father who gave him a love of reading. Combined, those two things – untapped intellect and voracious reading – got him into college. This same kid with less than a 2.9 GPA in High School was the first in his family to get a degree. He took the son, conceived in youthful fornication, and gave him to a virgin woman as a virgin man. He took a child who was hurt so terribly by divorce and instability and made him into a husband to a single woman for 15 years and counting. He took a lonely boy and gave him loving brothers and sisters, two loving sets of parents, and most importantly four loving children who have never known life that wasn’t filled with joy, friends and love. The list could go on and on. But what is clear is that my life has been redeemed! Once I looked backward for the evidence of His intervention instead of looking forward for the hope of intervention it became clear. I can see the steps of my life being ordered in such a way as to overcome the poor decisions and terrible situations. I stopped wondering why I wasn’t saved from things and started seeing what I had been delivered to. He never let me go. He makes beautiful things from the dust.